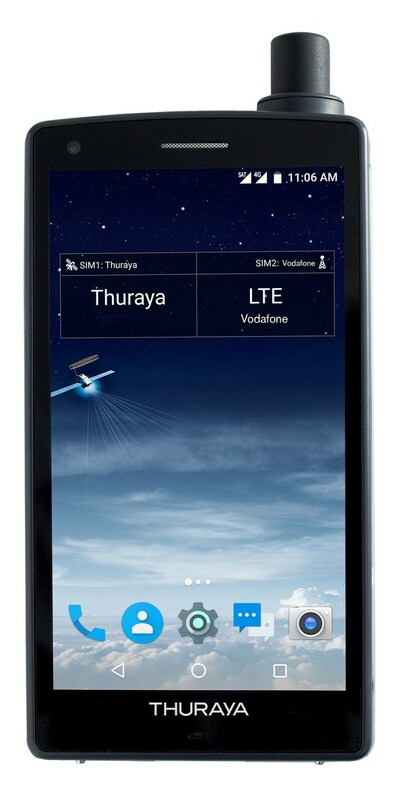 Thuraya Telecommunications Company has just announced what's the first satellite smartphone, the Thuraya X5-Touch today at its partner conference in Dubai. And like previous Thuraya Satellite phones, its aimed at people who frequently find themselves in places where regular GSM coverage is absent. While Thuraya didn't give us much details about the specs of this device, it does however have a 5.2" 1080p display, dual Sim support which enables seamlessly switching from GSM to Satellite service. It also packs both front and rear cameras in addition to WiFi, Bluetooth and NFC. While the specifications won't be blowing anyone's socks off, however that wouldn't bother Thuraya customers.